Yes, a real live Sleigh Ride! 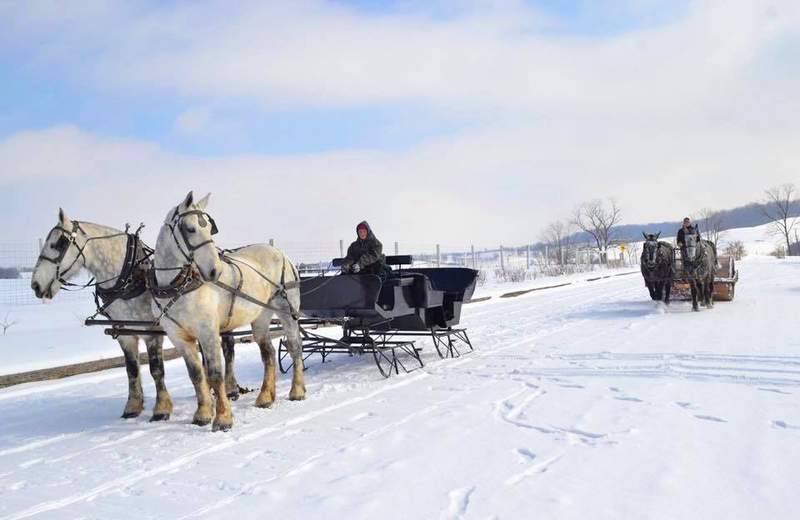 The Farm at Walnut Creek offers sleigh rides when Walnut Creek has at least 3" of snow on the ground. Rides takes between 30 and 45 minutes. Prices are $25 for an adult and $16.75 for children (3-12) and seniors. Cash or check only. 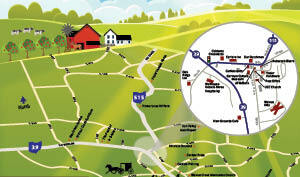 Our hours and rides are 10am to 4pm. The horse drawn sleigh will pick you up at the farm houses, take you to the wooded area to see and feed the animals and finally stop at the giraffe barn to see the Giraffes, Zebras, Watusi, Eland Antelope, and more. The sleigh will take you back to the farm houses where you can enjoy hot chocolate, coffee, and cookies.